When her violent stepfather meets a tragic end, Violet Clancy feels justice has been done. Looking around the pitiless Black Country town of Wednesbury, she realises that there are many other wrongs that she could help to put right. Joining a coterie of women who call themselves 'The Wednesbury Wives', Violet and her friends soon set about winning justice for the abused. But will their friendships survive when some of their good deeds are brought into doubt? What a lovely story. Full of drama, funny. Sad, You actually lose yourself in the drama like your reply there. The audio book is well narrated By Charlie Sanderson who does a wicked Brummy accent. 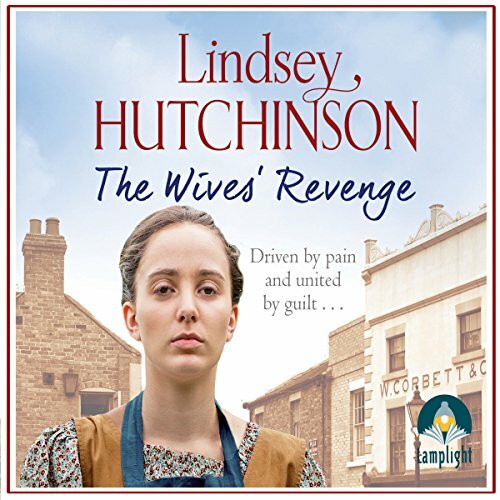 Yet another very good book by Lindsay Hutchinson. If you like a book with a bit of everything in it you will love this book. Not my usual type of storyline so I found it a little boring and farfetched.